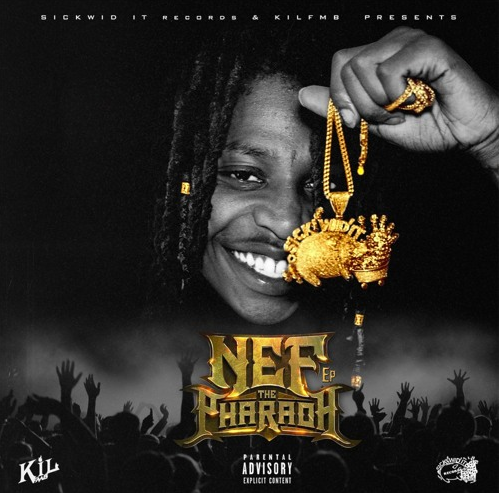 "Michael Jackson" could be the next big hit for Nef the Pharaoh. Vallejo sensation Nef the Pharaoh just dropped off his debut self-titled EP on E-40's Sick Wid It Records. The release included Nef's breakout hit, "Big Tymin," as well as the YG and Ty Dolla $ign remix. Each of the EP's 7 tracks is worth talking about, as Nef explores a wide variety of different sounds without sacrificing any of the project's cohesiveness or its pulsing energy. One in particular is "Michael Jackson," the track that's received more plays than any other on the EP's soundcloud stream. With the help of Cardo, who's been spreading his sound all over Cali this year, "Michael Jackson" could easily become Nef's biggest hit. The young Pharaoh starts the record by talking about how he idolized MJ when he was a kid. He then segues into the shimmering, lightweight hook, which could ultimately poise the record for radio success. He raps more softly than he usually does, but "Michael Jackson" retains the same glamor and natural charisma that defines Nef's output. It's ultimately an inspiring tribute. We think MJ would approve.